Posted March 20, 2018, in News. 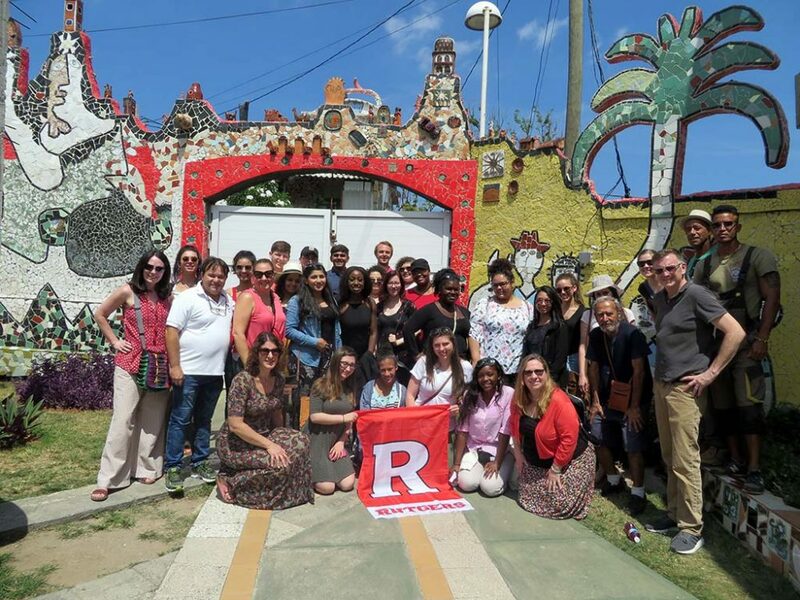 The Rutgers-Camden Community Leadership Center was integral in supporting the latest student trip to Cuba over Spring Break, March 10-18, 2018. 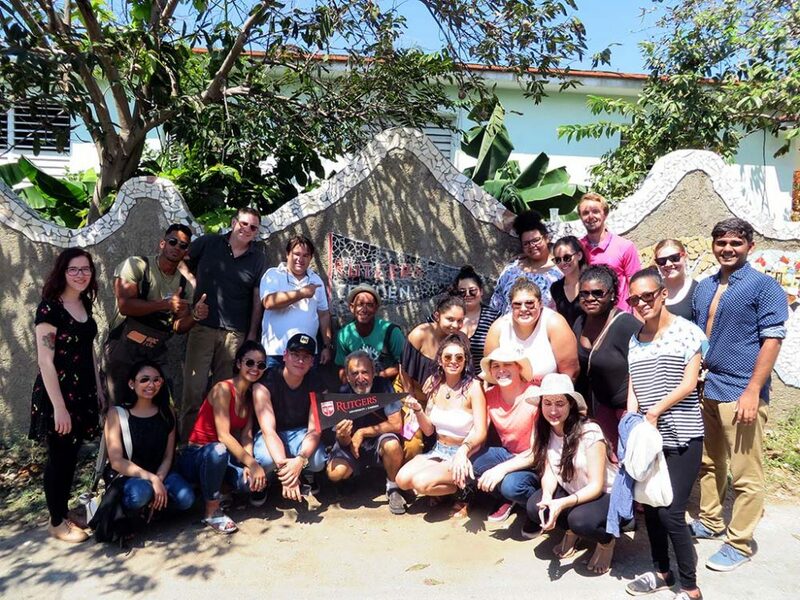 25 students, combined between the School of Nursing and the Department of History, traveled throughout Havana and Pinar del Rio to learn about sustainable models in community and public health, historic preservation, and community development. Highlights included a visit to Fusterlandia, where renowned artist Jose Rodriguez Fuster, who visited Rutgers-Camden in November, hosted the students to participate in a large scale mural project. The group was empowered to share lessons and implement best practices with their Rutgers and Camden communities. Page last updated by Community Leadership Center at 4:20 pm March 20, 2018 . This page was printed from http://clc.camden.rutgers.edu/2018/03/20/clc-supports-student-spring-break-trip-to-cuba/ at 1:46 AM Friday, April 26, 2019.